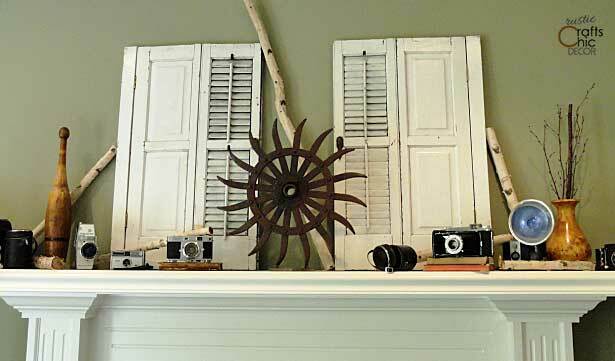 Decorating with birch logs is popular in rustic chic decorating. 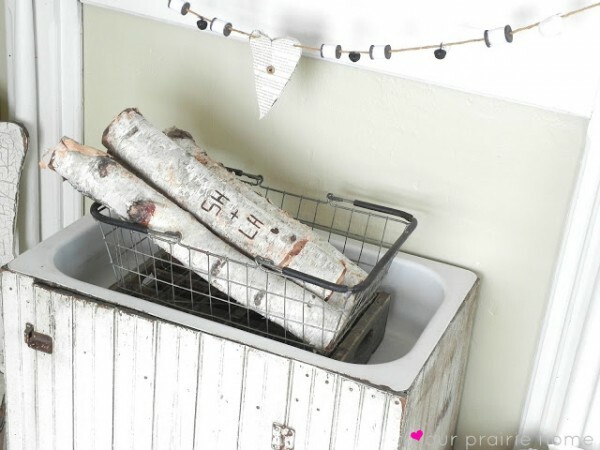 I love the fact that you can purchase birch logs in about any size diameter or length. You can buy them from Ebay or Amazon as well as many specialty stores. 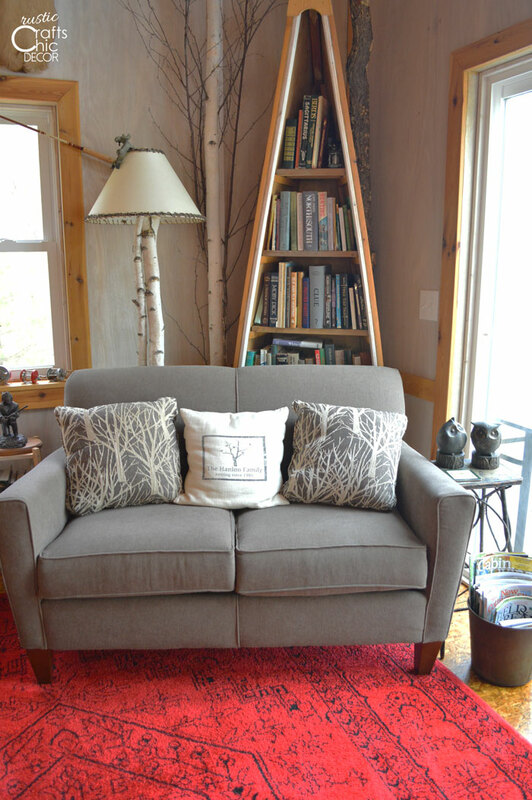 Even though I have used birch logs in a variety of different craft projects like candles, birdhouses and even lamps, I also love decorating with birch simply by displaying the logs. 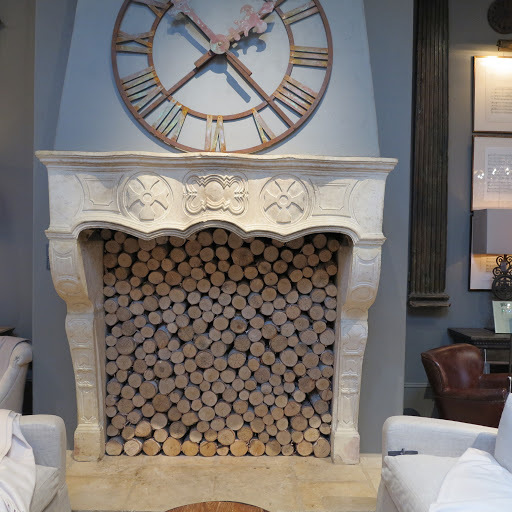 When I decorated the fireplace mantel in our study I added several thin birch logs, in various lengths, throughout my display. I also love to just place them in vases or buckets, especially around the holidays, for some added festivity. I also have used quite a bit of birch up at our cabin. My favorite spot is in our dining area. 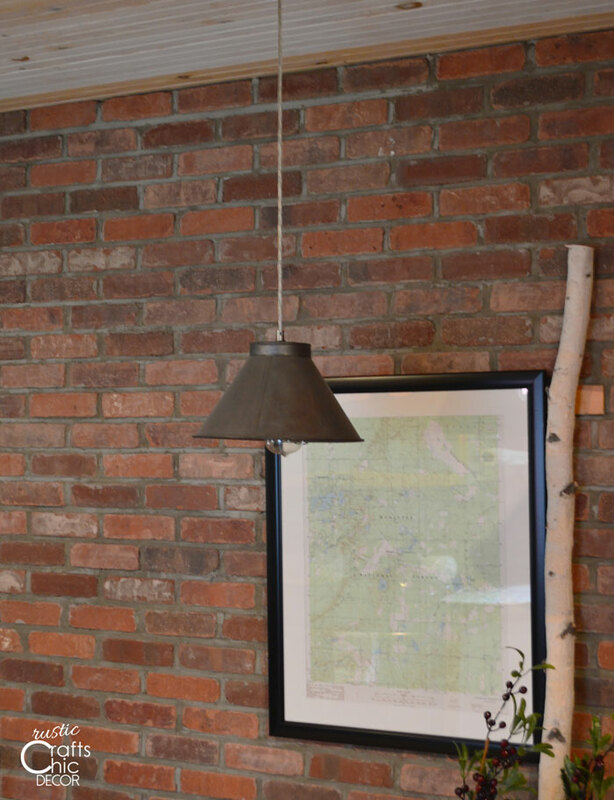 Just screwing a birch log to the wood board, that we had mortared into the brick wall, was a simple idea that added a little rustic interest to our dining space. We also collected several long pieces to put in a ceramic container. Then, we just placed the container behind the love seat to help give height and fill in the wall space. 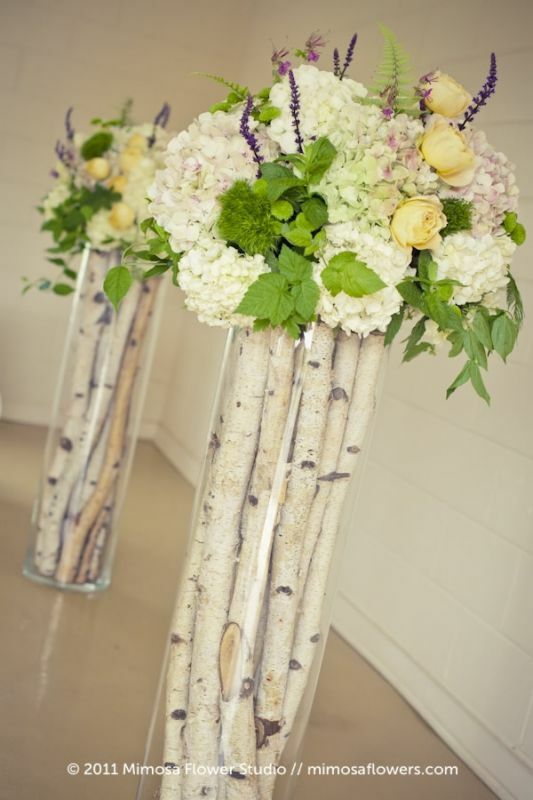 Fill tall glass vases with thin birch logs and top with flowers! This image looks perfect for a wedding but depending on the florals used, it could be tailored for home decor. Here is another simple idea. I love the basket! How about filling an entire fireplace opening? Yikes! That would be quite a project! Pretty cool though. 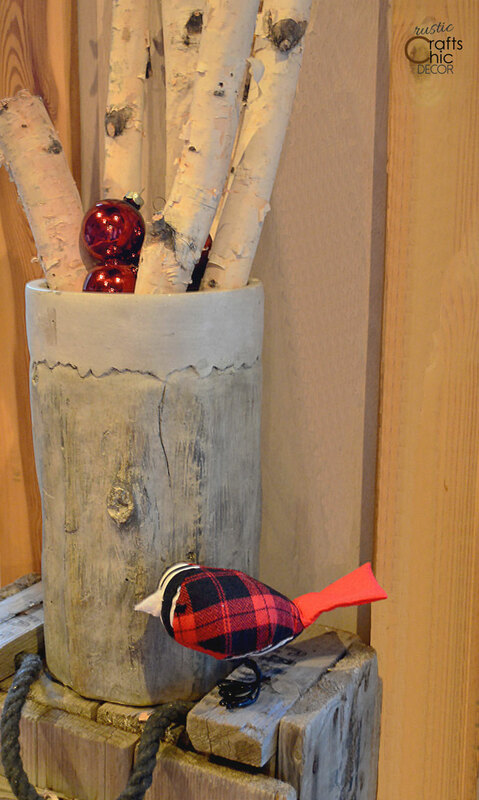 And finally, here is a unique idea for adding a little wood burning or carving to your display of birch logs.